Each handrail sample is approximately 4 inches long. The sample will come in a random wood species and may or may not come Clear Finished. 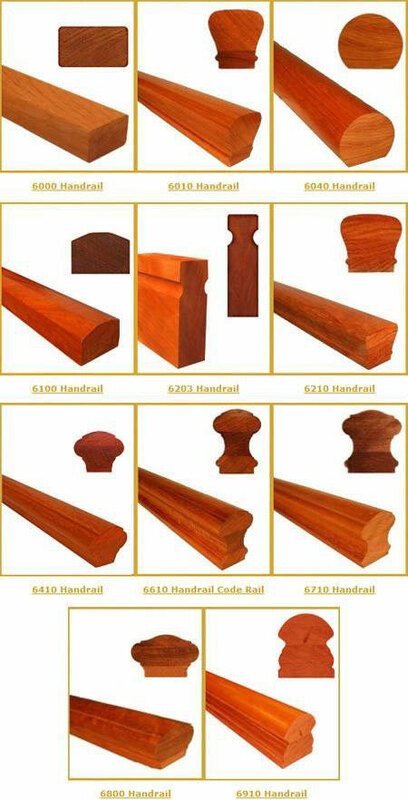 If you’d like to see a specific handrail in a specific wood species you will need to order a 3 foot section from our Straight Handrail Section. How much and what sections of the railing are laminated on the 6710 hickory hand rail? All or our handrails are made out of solid lumber, in your case, hickory. However, in order to get to the thickness necessary to make the handrail we do glue multiple pieces on top of each other, in your case 3 pieces of solid hickory are glued together to make 6710 handrail. Our handrail profiles remain the same when they are wall mounted. 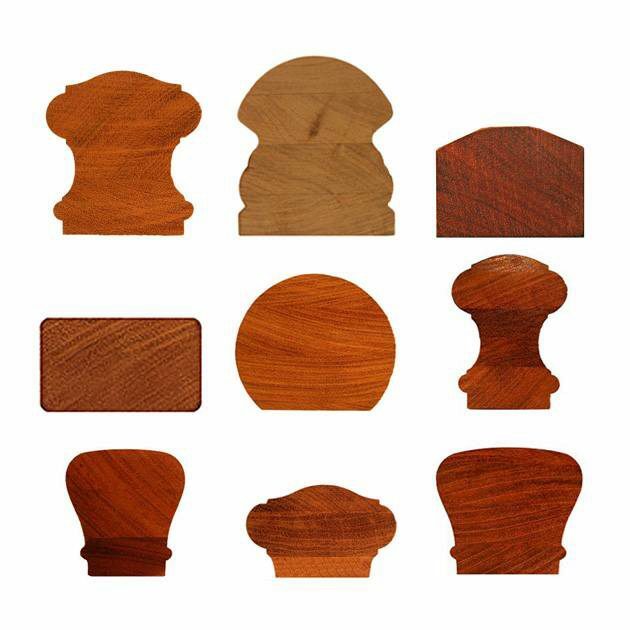 The 6100 handrail profile, which is the one in the top-right corner, is 2″ wide and 1 1/2″ tall. We do oversize the returns on wall mounted handrails so that they can be cut down to the exact size on site. That’s because walls are usually not perfectly straight, so it’s safer to oversize them than to cut them to an exact size and have them be a hairline too short. Here’s the link to our 6100 mitered handrail https://www.stairsupplies.com/product/6100-45-deg-mitered-handrail/. Thanks for your question! Feel free to let us know if there’s anything else we can do for you! Is it $4.99 per sample ? We no longer offer the 6043, but we hadn’t updated the photo on that page. I apologize for the inconvenience, but we do have a 6040 handrail that has a very similar profile and I just added it to the sample page, so you should be able to order that now. If you have any other questions, don’t hesitate to give us a call at (866) 226 6536.